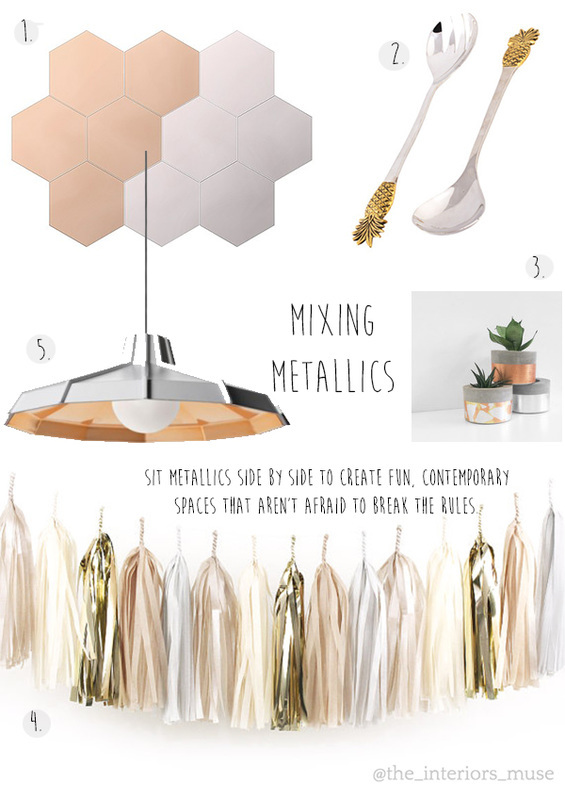 Mixing Metallics - The Interiors Muse. It's no secret that metallics have been a huge trend in both fashion and interiors over the past year. But a move toward combining different metallic elements has given this trend a new lease on life. Copper, chrome, pewter and gold once never seen side by side now glimmer together to create fun, contemporary spaces that aren't afraid to break the rules. Team with comfortable textiles and a soft colour palette to balance the looks contemporary edge.